Two GCSE Bitesize videos: foundation level – Energy Resources & Transfer – part 3 for electromagnetic effects & higher level – Energy Resources & Transfer – part 2 for electromagnetic effects. A short (3m 25s) video clip on Electric Motors – A.C. Motors from Clipbank. Three short video clips from Clipbank: Transformers – Conserving Electricity, Transformers – Changing Voltage & Transporting Electricity. Two short video clips from Clipbank: Electric Motors – D.C. Motors & Electric Motors – Electric Cars. This entry was posted in P14 Electromagnetic Effects and tagged electricity, electromagnets, generator, transformer on February 5, 2014 by Mr Cartlidge. Electricity (Wan2tlkScience? ), a 8m 38s video; Science in Action – Electricity – a 19m video; Scientific Eye: Static Electricity (19m 28s). 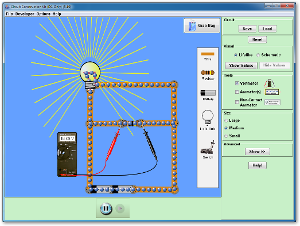 This entry was posted in Y7 Physics 7I to 7L and tagged circuits, current, electricity on February 4, 2014 by Mr Cartlidge. Electric Graffiti – the dangers of high voltage. Electricity Power to the People (Science Zone) – a 19m video. Bill Nye (the Science guy) explains what Energy is and how it can be transformed from one form to another and here is his episode on Electricity. KS3 Bitesize foundation level – Energy Resources – a video covering the different forms of Energy & Energy Resources & KS3 Bitesize higher level – Conservation of Energy – a video covering Energy Transfer & Storage, Temperature & Thermal Energy and Conduction, Convection & Radiation. This entry was posted in Y9 Physics 9I to 9L and tagged circuits, current, electricity, voltage on August 31, 2013 by Mr Cartlidge.